There is a lot of weird stuff out there in the world. Have you ever pointed a wire hanger shaped like an ancient Egyptian symbol at Stonehenge, felt a surge of energy in your arms and woken up 8 hours later not sure if it was all in your head? Neither have I, but because of the Time-Life Mysteries of the Unknown series of books (which were published from the late 80s to early 90s, and advertised during the 3-5pm cartoon block after school) I always wanted to. So here are my 7 favorite Mysteries of the Unknown that I have culled from years of personal research. Coincidence? I think not. A team of nine Russian athletes and scientists go cross country skiing in the mountains, and never make it home. After the thaw, they are found naked, without tongues, and bathed in radiation. Its like a real life documented Blair Witch Project with some Soviet era Cold War intrigue thrown in. Deep underground Dulce, New Mexico, are massive black budget military bases. This one has it all, alien-human hybrids, hyper-spatial Nazi scientists, black helicopters, firefights between CIA operatives and Greys, and eyewitness testimony with government documents as evidence! Mothman shows up and bad things happen, including the collapse of the Silver Bridge, a horrible documentary, and a sort of awesome Richard Gere movie. Did you ever see Fire in the Sky? The part where they stick the needle in his eye? Yeah that might have really happened. This one is a fairly new phenomena. So you’re kicking back, maybe eating some za, and firing up the xbox to take out some dragons in the Rim, when there is a knock at your door. So you get up expecting UPS, but its not. Its some kids with pitch black eyes asking to use your phone. At first you think its some local juggalos, but before you can reach for your spray bottle you realize these kids are staring into your soul, and igniting your fight or flight response. The worst part is there are only stories of folks who did not let them in. The United States government spent around 25 million dollars on a project that trained people to mind travel to anywhere. They did, and it worked...maybe. 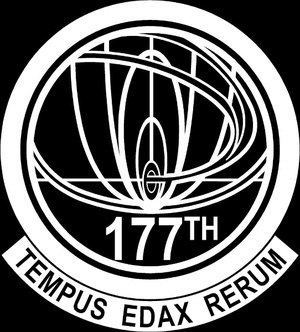 So back in the early aughts John Titor shows up on Internet message boards claiming that he was a time traveler from the year 2036. Titor explained that the United States had been devastated by civil war, and that our future society will sort of mirrored life in The Hunger Games. Titor wrote that he traveled back to 1975 to pick up an IBM 5100 computer, which could be used in the future to help translate some old code. So he takes a pit stop in November of 2000 for a few months to visit some family, explain time travel, and warn us all about what’s to come. Titor’s out was always that he was from a similar, but not the same timeline as us, and thus things could be different here. The really eerie thing is how current physics multi-verse theory jibes with what Titor was saying. Just ask Michio Kaku.